With the fall semester getting underway next month, it’s time for an updated look at who is coming and going in the Big Ten for the 2018-2019 season. · Arriving: Ayo Dosunmu (247Composite top 100), Tevian Jones, Samba Kane, Alan Griffin, Giorgi Bezhanishvili, Andres Feliz, Adonis De La Rosa (graduate transfer from Kent State), Anthony Higgs. Notes: Since our last update in May, the Illini dipped into the grad transfer market for De La Rosa, who averaged 11.8 points and 7.6 rebounds per game last season at Kent State. Illinois also added Higgs, a 3-star forward from Maryland. Notes: The Hoosiers have their roster set for next season as Archie Miller has 13 scholarship players and walk-on Zach McRoberts. All 14 guys are expected to compete for minutes. Notes: The Hawkeyes still have one scholarship remaining for next season in what could prove to be a pivotal season in Fran McCaffery’s tenure. Notes: If you’re buying Maryland going into the 2018-19, it is because of the strong nucleus returning (Cowan Jr. and Fernando) and the arrival of a recruiting class that some have ranked in the top 10 nationally. Notes: Michigan will likely enter next season with just 12 scholarship players and without a senior on its roster. Since our last update, the Wolverines did add Jaron Faulds, a transfer from Columbia, to the roster. He will sit out next season and is a preferred walk-on. Notes: The current pick by many to sit atop next season’s Big Ten standings, the Spartans return a formidable nucleus led by Langford, Winston and Ward. Notes: Richard Pitino enters next season on the hot seat and the health of Amir Coffey is arguably the most important factor in determining if he’ll be able to navigate his way back to solid job security. · Returning: Glynn Watson, Isaiah Roby, Thomas Allen, Nana Akenten, Thorir Thorbjarnarson, Isaac Copeland, James Palmer Jr.
Notes: The Huskers were dealt a blow recently when Tshimanga, a rotation big man, announced that he would be leaving the program. Notes: Since our last update, the Wildcats added Greer, a 3-star guard from the Atlanta area. Notes: Chris Holtmann added five new players to next season’s roster and the Buckeyes should have more overall depth than last season. However, replacing last season’s Big Ten player of the year in Keita Bates-Diop will be a daunting task. Notes: The Nittany Lions lost three of their top four guards – Garner, Bostick and Carr – and will need several freshmen to step forward to get back to the postseason. Notes: The Boilermakers are one of the toughest Big Ten teams to project going into next season as they return a legitimate national player of the year candidate in Edwards but lose four starters. Notes: The Scarlet Knights were still in the Big Ten cellar in our most recent offseason power rankings. Will this be the year Rutgers finally proves the pundits wrong? 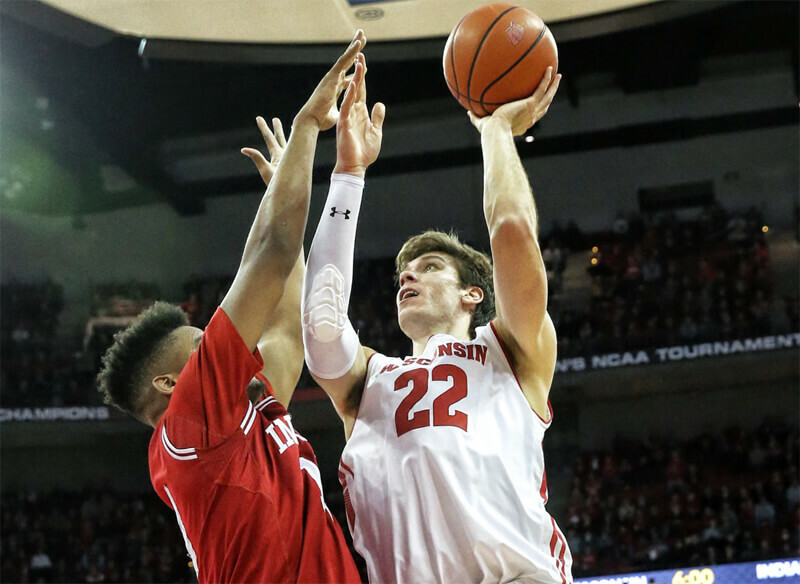 Notes: The Badgers will have one of the Big Ten’s deepest teams and if everybody remains healthy, could challenge for one of the top spots in the league standings.